Since 2016, the left has been in a state of shellshock. Democrats began blaming Russia’s president for Trump’s victory. Attorney General Jeff Sessions stepped aside to allow Deputy Attorney General Rod Rosenstein to oversee the allegations that Trump somehow coordinated with Putin to win the general election even though former President Obama said it was impossible. Former FBI Director Robert Mueller was selected to lead the investigation with a team of attorneys. Mueller and his investigators have been unable to find any evidence of collusion with Russia, despite the left-wing hype. The longer Mueller’s fruitless investigation continues, the more the left panics. 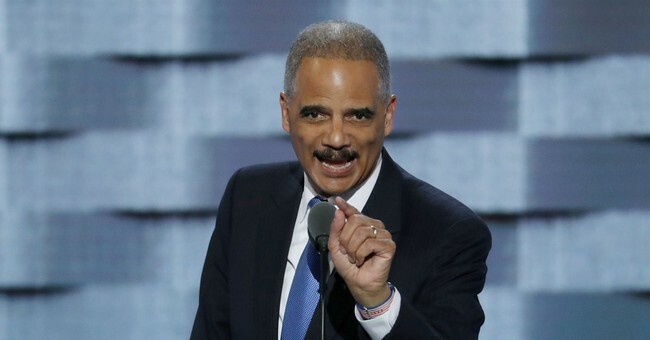 Recently, Eric Holder, former attorney general for Obama, stopped to speak at a political event for Stacy Abrams who is running for governor in Georgia. Holder told the crowd, “When they go low, you kick them,” referring to Republicans. His comment was made after the media has approved and encouraged attacking or harassing Trump supporters at least 594 times. This type of language is dangerous and reckless in our current political state. However, Holder does not seem to mind if anyone gets hurt as long as the left gets power. CNN’s Christine Amanpour interviewed Hillary Clinton. During the one-on-one, she said that “civility can start again” after Democrats win. Clinton’s comment was similar to an authoritarian dictatorship mentality. Furthermore, Clinton actually meant the shutting down of Conservatism, Capitalism, freedom and liberty for the sake of Socialism. Big government rule is slavery, not civility. Clinton’s 2016 presidential message was take from the rich, raise taxes, grow government and make more people rely on Democrats to survive. Since she lost, the Democratic Party has turned into a mob that is bent on accosting those who do not agree. Democrats no longer offer anything to their constituents except retribution for losing in 2016 by removing Trump from office via impeachment. How will removing the president to replace him with a staunch Conservative Christian make the left powerful again? It won’t, but they are so blind with rage their mission is personal, not political. The Democrats have been entrenched on their attacks; they have moved from being a political party with a message to a group that encourages mob rule to regain power. Voters notice Democrat encouraging chaos. The midterm election is next month, and if they continue to push this narrative, they could alienate more voters just like in 2016. Many protests lead up to the election of Trump who stood directly against the mayhem. By encouraging more discord, the left may set themselves up for a repeat next month. The more the left encourages childish, schoolyard bully behavior, the less chance they have of winning. Trump has beaten back all of the left’s attacks. Democrats have nothing left. What does an animal do when backed into a corner? They attack and become violent. Violence is the Democratic Party now. All of their smears, lies, and namecalling have failed. Physical assault is the last resort.